Interested in what is meant? This allows the prototype of our CanSat to be ready for the software test. Who now says, that looks very chaotic, is right. 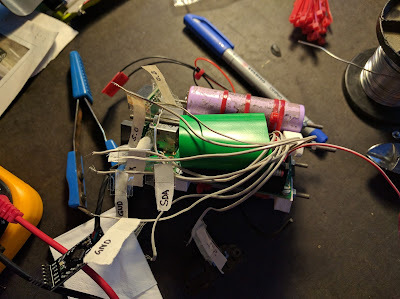 But we have left the cables unconnected so far, so we can simply disassemble the CanSat easy. next time, we will measure the cable length exactly.